A brilliant video has emerged across social media of Sadio Mane giving a banner telling Kalidou Koulibaly to sign for Manchester United the thumbs down. The Napoli centre-back has been linked with a move to the Premier League several times over the last few months, with a world-record price tag mooted. 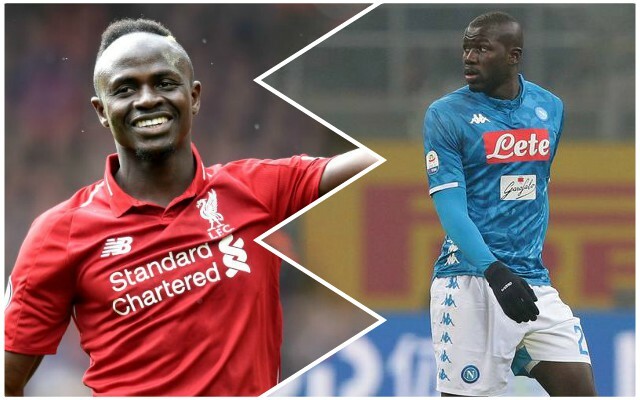 He was excellent in the Champions League group stage when the Reds faced Napoli, and clearly has a lot of talent, so we agree with Mane: hopefully, Koulibaly won’t end up joining Ole Gunner Solskjaer’s side. It would be nice if Mane could have a word with Koulibaly while they are both on international duty with Senegal. The Reds are likely to be in the market for a central defender in the summer and the 27-year-old would be a dream option to bring in. Whether Jurgen Klopp would want to spend another huge sum on another centre-back is perhaps a sticking point, but Koulibaly is certainly top drawer.